Did you see South Park tonight? If not you should have, even if you haven't caught an episode since middle school. 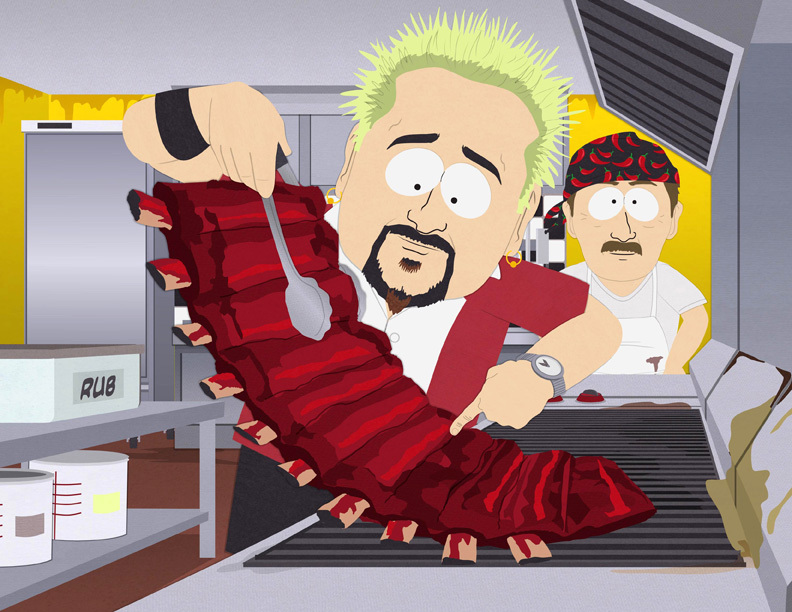 The South Park writers were in top form as they mocked the rise of the home gourmet. TWSF was captivated as we watched Randy Marsh get a little to into the FoodNetwork, quit his job and take over as head chef of the cafeteria. This episode hit a little close to home as Randy acted out our dreams. Check out this preview clip and set your DVR to record a rerun ASAP or check southparkstudios for when the episode is going to be posted online. Any self respecting food enthusiast with a sense of humor about the minor absurdities of being a home gourmet should check it out (the caricatures of the FoodNetwork all-stars is reason enough to tune in, poor Giada).